Located in the exclusive gated community of Les Parcs the luxury villa Waters Edge has prime beach front views and is within close proximity of stunning beaches and fabulous restaurants. 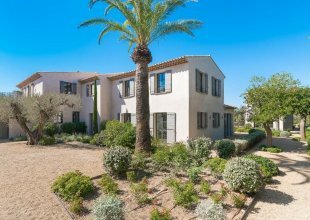 Saint Tropez’s stunning new water front property, Villa Water’s Edge is part of Villas In Luxury exclusive portfolio, crafted to the highest of standards by a team of internationally renowned architects and designers. The opulent Saint Tropez, sizzling on the picturesque shores of the Côte d’Azur, has long attracted the wealthy and glamorous, drawn to its exclusive, jet set reputation, lavish beach clubs and three Michelin-starred dining. The exclusive Villa Water’s Edge is located in Saint Tropez’s most prestigious private domain, Les Parcs, and is complete with a designer kitchen, bespoke furniture and fine art. This alluring and entrancing villa is designed with only the most luxurious of materials and boasts extensive covered terraces, breathtaking views, a heated infinity swimming pool, direct access to the sea and state of the art security. Prices are based on exclusive use of the Villa on a fully staffed basis. Food and drink charged locally in addition. The service package is as flexible and comprehensive as you decide to make it. Our staff have been trained to use every one of the many facilities available. But more important is the fact that you can specify exactly what additional services you may require and how you wish to be treated. We are used to providing á la carte options such as chauffeured limousines, spa technicians, helicopter transfers, yacht charters, out-of-hours villa staffing and much more. We will arrange everything according to your needs - you just let us know what you require! Chef covering breakfast, lunch and dinner (12 hours) – Food & Beverage at extra cost. 1 Butler covering breakfast, lunch and dinner (12 hours).